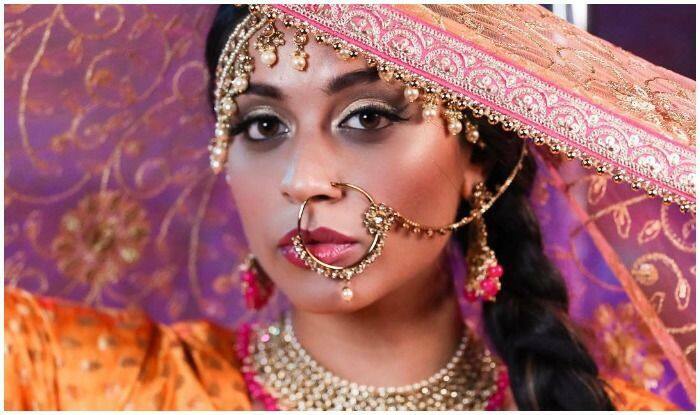 Known by her pseudo name ‘Superwoman,’ YouTube Lilly Singh dropped her new single today which has set the Internet on fire. Mixing the tunes of Bollywood hit numbers, Choli Ke Peeche Kya Hai from Khalnayak, All Izz Well from 3 Idiots and Aankh Marey from Simmba, with foot-tapping rap beats and catchy lyrics, Lilly has addressed the issues of sexuality and mental health. The video has already garnered over 6 lakh views and is still trending viral. Sharing her favourite part from the video on her Instagram handle, Lilly captioned it as, “I love Bollywood and I love rap music, so I decided to collide both worlds and remake some of my favorite filmi songs into rap anthems. Choli Ke Peeche Kya Hai is a CLASSIC and so I wanted to pair it with some modern wisdom I’ve gained over the years. Growing up, I was often taught a “right” and “wrong” way to be a woman. I was told exposing your body too much isn’t good, fair skin is the goal, having a tummy isn’t beautiful and subconsciously that other people could/would and should make judgments about you. I believed all of this for some time in my life because I didn’t know another way. As I’ve grown up, I’ve proactively made an effort to unlearn a lot of these things and this song represents that growth in a nutshell. Shout outs to all my sisters who love to cover up and to those who love to show it all. Shout outs to my sisters who enjoy reading books, cooking and/or flexing on a pole. Shout outs to my light, dark and everything in between sisters. Shout outs to all my sisters with PHAT stretch marks. Shout outs to my working women and stay at home moms. It’s YOUR choice. Regardless of all the things we’ve been told and taught, you’re beautiful and deserve respect. Tag a sister you love and let her know she’s AMAZING. Thank you to @durranibros, @chasinglife and @sahibafashions for helping bring this to life” (sic). Lilly has a fan following of over 30 million people across all social media platforms and last month she openly identified herself as a bisexual which is a big deal. The news not just spread positivity and sensitivity around but also helps in normalising the feeling of love beyond genders. In her earlier interactions, Lilly had revealed how it has always been difficult for her as a brown woman in the US. However, with her latest video commenting on sexuality and mental health openly, this superwoman has broken the shackles to inspire many.